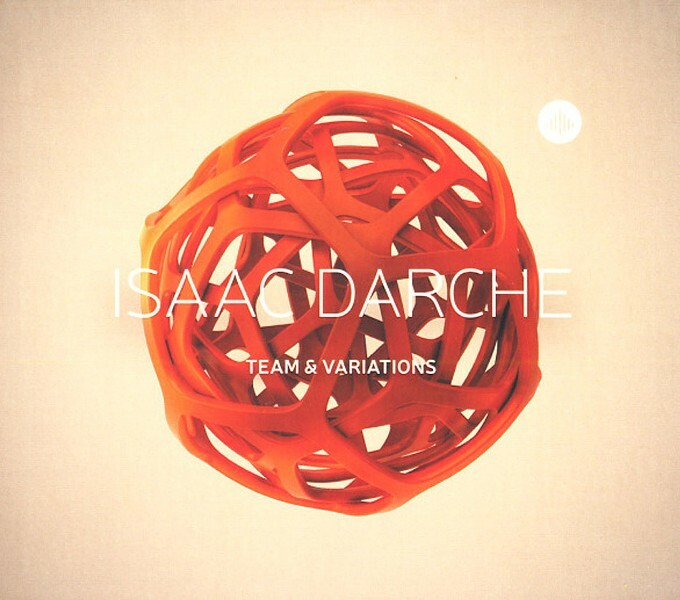 ALBUM REVIEW: "Team & Variations"
There's no grand theme and no venturing into wild, unexplored territory on guitarist Isaac Darche's "Team & Variations," but it's sometimes refreshing to hear an album by an artist whose only goal is a straight-ahead blowing session. This is especially apparent when the group tackles two standards near the end of the CD. In a blindfold test, Darche's renditions of Jerome Kern and Oscar Hammerstein's "Nobody Else But Me" and Nacio Herb Brown and Gus Kahn's "You Stepped Out Of A Dream" could be mistaken for vintage 1950's tracks. In those two covers, five excellent original compositions, and a beautiful version of Wayne Shorter's "Ana Maria," Darche's guitar playing is crisp, clear and inventive; it's no surprise that his main teacher was the great Kenny Burrell. But Darche isn't the only one who stands out here; as the title suggests, it's a group effort all the way. E. J. Strickland and Desmond White are driving forces on drums and bass respectively; Chad Lefkowitz-Brown provides a powerful second voice on tenor saxophone, and the sure-handed pianist Glenn Zaleski turns in some superb solos.